Building Your Family Through Egg Donation is a book to help give couples a head start in understanding the joy and the challenge that is in store for them. This booklet will help you clarify the scope of what is involved in the egg donor experience. The topics in this book are addressed to fortify you with knowledge by showing you how others before you have handled their concerns. 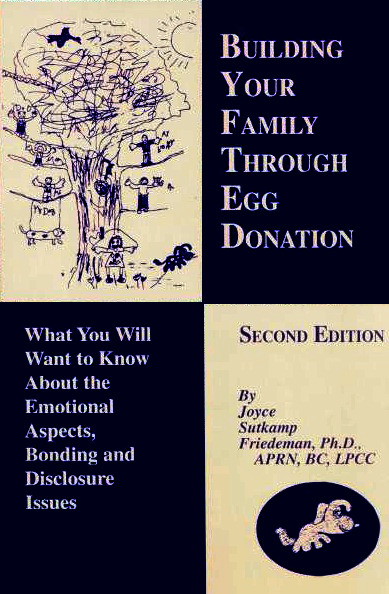 This booklet also contains many couple’s testimonies about their egg donation experience.